Cement silo of concrete batching plants are specially designed to store cement during concrete producing procedures. 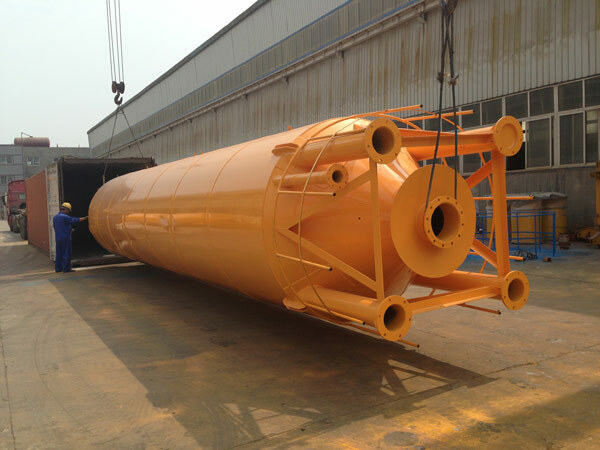 It also can be used as storage silo of other kinds of dried small particles materials or powder materials such as grain, fly ash, and other bulk materials. Aimix Group designs and produces high quality cement silos for sale to meet the demands of material storage or spare parts of stationary concrete plants. Aimix mainly provides cement silos in two forms: welded cement silo and bolted cement silo. 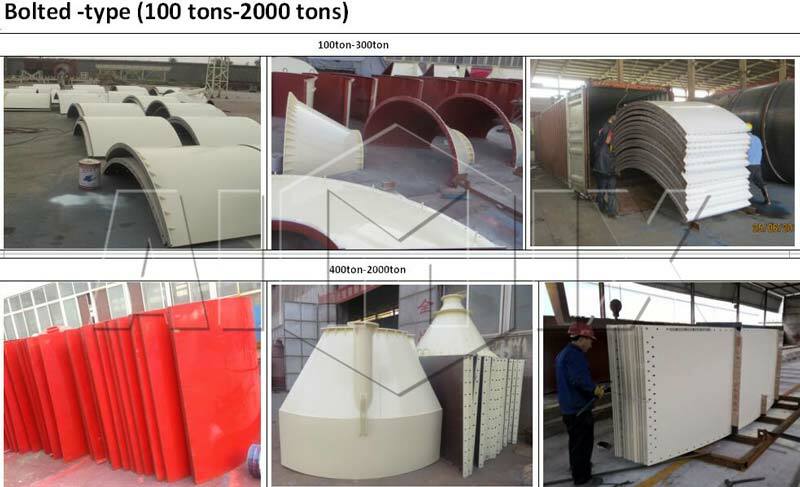 Welded-type cement silos have the capacities range from 20t to 100t. They are welded well in the factory and exported as finished products. 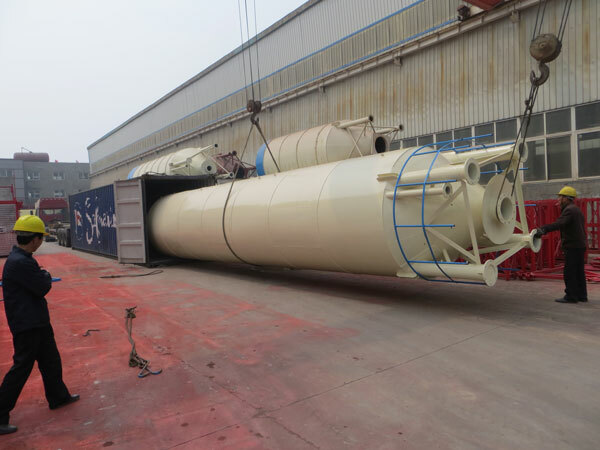 Bolted-type cement silos are bolted together after they are shipped to the destination. They are large cement silos with capacities range from 100 tons-2000 tons. Because of their large structure, they are made into bolted type for easy transportation. Bolted cement silos are installed at the site. Aimix concrete silos for sale are well-honored for reliable quality, reasonable structure and modular design. 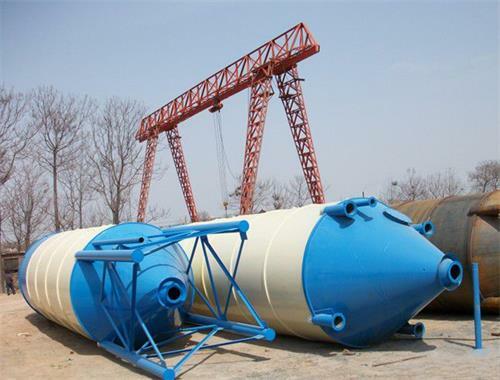 It is basically used to store the concrete mixed by twin-shaft concrete mixers or other types of mixers. 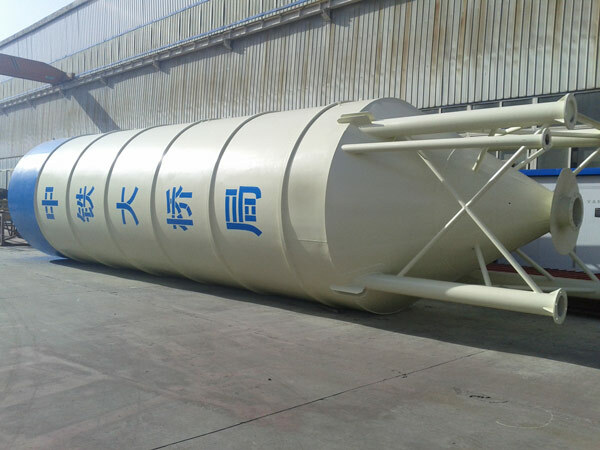 From the outside appearance, our concrete batching plant silo has cylindrical shape, which is very suitable for the storage of powder materials. Our cement silos of concrete batching plants are equipped with staircases to help operators climb up to the top under some circumstances. There are also dust removers on the top of silos, which are designed and installed to absorb and clean dust in the inner side of silos. Dust removers of Aimix cement storage silos adopt advanced manufacturing technology and optimized to enhance their performance and capacity. Generally speaking, dust removers of Aimix cement silos of concrete batching plants are featured with high efficiency, nice sealing capacity and good performance. Due to these removers, emission concentration amount matches the national required emission standards. Grained particles of cement and coal ash can be utilized for the second time, which can greatly increases resource utilization. The other prominent feature of Aimix concrete silos is the alarming device, which avoid the blocking or over-filling of cement silos of concrete batching plants at most. Zhengzhou Aimix is one of the most reliable cement silo manufacturers and suppliers in China. It has a developing history of more than 30 years’ endeavoring efforts on its way to prosperity. Concrete mixing plant is a hot product of our company, which is well welcomed by customers all over the world, and our cement silo cost is very reasonable. Welcome to visit our site to check our products at any time. 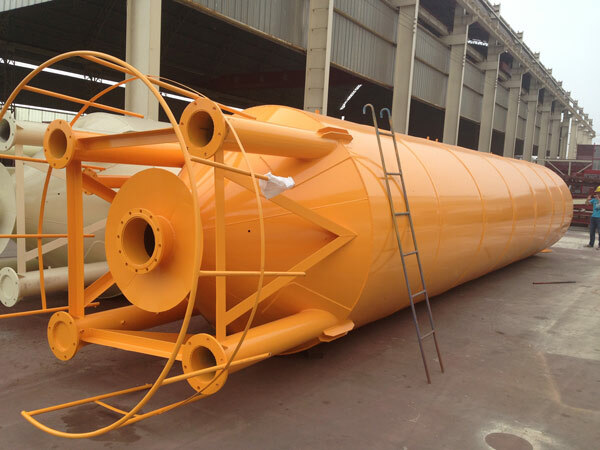 If you are interested in our horizontal cement silo of concrete batching plants, please feel free to send a message at any time. 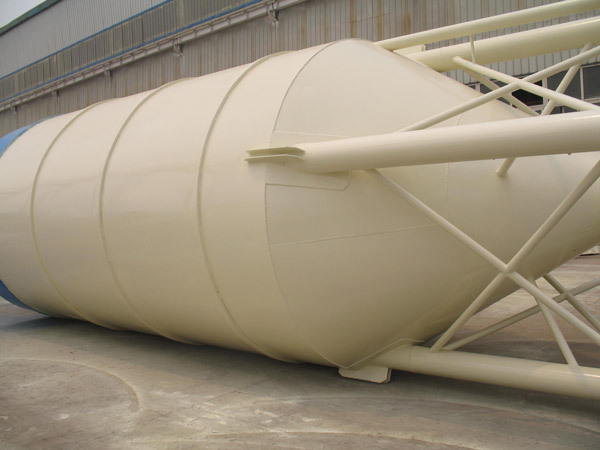 Body of silos are made up of strong wear-resistant materials, which prolongs the service life of the silos. Modular design simplifies the structure and ensures the capacity. Gas defense devices ensure the safety of operators during working process. Dust removers shows the environmental protection performance of our silos.